The Coordinating Ministry for Maritime Affairs on Friday (22/12) confirmed that areas beyond 10 kilometers around the crater of Mount Agung in Bali are safe in a meeting with representatives of foreign embassies in Jakarta, hoping to lift travel warnings for the resort island. "We hope they will revise their travel warnings, so that foreign tourists can come visit [Bali] without having to worry, and are aware of where the dangerous zones are," deputy minister for maritime sovereignty, Arief Havas Oegroseno, told reporters after the meeting. The meeting was attended by representatives from countries where many foreign tourists in Bali originate, including Australia, China, Japan and Switzerland. According to a report from Antara news agency, Indonesia’s tourism sector has suffered an economic loss of Rp 11 trillion ($811 million) since warnings for Mount Agung were announced in September. The active volcano is located 65 kilometers away from Denpasar, the provincial capital. Havas said that the primary dangerous area for lava, pyroclastic ash and volcanic ash is still within the radius of eight to 10 kilometers from the volcano’s crater. While the distribution pattern of volcanic ash depends on the wind pattern, the Meteorology, Climatology and Geophysics Agency (BMKG) predicts that until March 2018, the wind pattern will be heading toward northeast, should eruption happen. 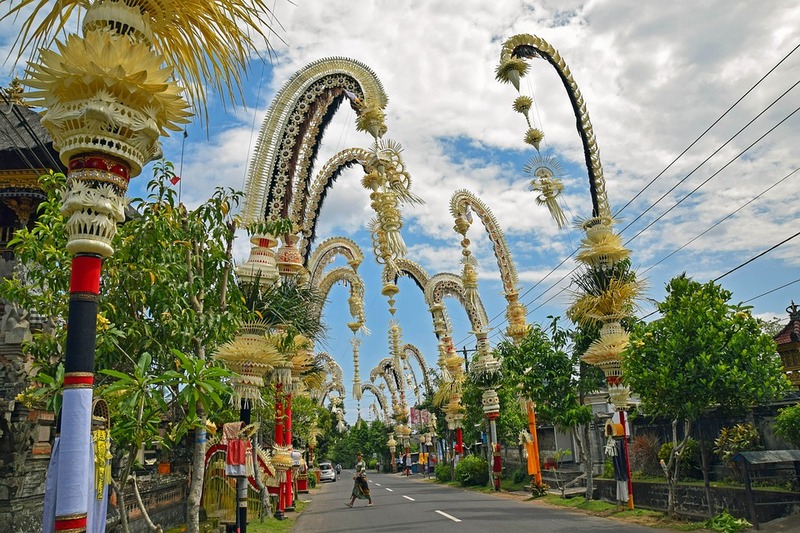 Many of Bali's tourist spots are located in the southern part of the island, including Ngurah Rai International Airport. Other threats, including lava floods, are predicted to only affect the surrounding river valley of Mount Agung, which is at the northern and southern side of the volcano. Havas reaffirmed that the annual meeting between the International Monetary Fund and the World Bank in Nusa Dua, Bali, next year remains on schedule. In late November, clouds of volcanic ash from the eruption disrupted flights to and from the island’s airport, stranding thousands of tourists. The government’s contingency plan includes multiple monitoring stations and strengthening operations at the Blimbingsari Airport near Banyuwangi, East Java. "If any emergency situation should arise, flights can land at the airport near Banyuwangi and tourists can also use land transportation from Bali to get to Banyuwangi," Havas said. He added that simulations ran by BMKG and the Volcanology and Disaster Mitigation Center (PVMBG) showed that this time around, Mount Agung's eruption will not be as disastrous as the one in 1963. Mount Agung first erupted in 1843, and again in 1963. During the 1963 eruption, two major pyroclastic flows within a span of two months killed thousands of residents and was followed by minor eruptions that lasted for almost a year. More than 442,000 foreign tourists visited Bali in December 2016 during the holiday seasons, according to data from the Central Statistic Agency (BPS).